Stephanie Cotta’s newborn skills never leave us short of being amazed. If you can look at her body of work without saying, “Awwww” in your head or out loud then you must not like babies or children at all. She captures their sweetness, their joy and soft little features in a way only the best of us can. We thought of her right away when we explored who should represent the children and newborn genre of photography at Reset 2016! Who inspires you? (personally or professionally?) My little ones. Observing and capturing raw relationships (between a new mom and her baby, siblings, spouses). And strong, female entrepreneurs. Guilty Pleasure? I may currently be binge watching Nashville. And Suits. Favorite junk food? Fro Yo. Specifically cake batter with the little pink marshmallows on top. If you could travel anywhere, where would you go? Australia! It’s always been on my bucket list and I can’t wait to head over there one day in the future to teach a few workshops and explore! Any areas in your life that could use a “Reset?” Always! It is very easy for me to get wrapped up in my work, whether it is on the photography and editing side or the business component. There are many times when I need to give myself designated days to stop working, turn off the computer, focus one hundred and ten percent on my little ones and myself, and then jump back into it. Favorite photograph you’ve taken? An impossible question… There are several times throughout the year where I capture a moment of my little ones that I deem my most favorite (until the next time). I also absolutely love multiples newborn sessions and had an amazing experience this past year with newborn triplets. It was truly incredible how they just melted into each other while I was posing them. I also am fortunate to photograph several professional athletes and I absolutely love seeing these very built, big new dads be so very delicate and in love with these tiny newborns. What’s your typical day usually look like? If I can pull myself out of bed, a 5:30 am morning workout. Then, coffee and little ones running around for a relatively leisurely morning of breakfast, games and perhaps an art project (or math facts!). We have so much time in the morning because I have two very early risers roaring to go by 6:00 am! I shoot in the studio two to three days a week, in the afternoons/early evenings a few days a week when the weather is nice, but my afternoons are then spent cooking dinner, reading, playing with the little ones and reading books before bedtime! After the littles’ bedtime is when I head to my computer to work, edit and watch Hulu! What three words best describe your photography style? Soft. Pure. Timeless. Best secret for working smarter not harder? Don’t be scared to raise your prices when you work is improving. You never have to wait until the start of a new year to increase your pricing structure. If you have practiced, your work has improved, and you are filling up your books, you can increase your pricing! Any successes or failures in business that have shaped the way you run your business now? My entire success/failure roller coaster with my newborn photography led to me being able to develop my newborn posing tutorials, specifically the treasured posing order that provides a systematic approach to the newborn session. When I first started photographing newborns, there would be sessions that would last four to five hours and I will STILL have to have them come back the next day because I didn’t feel like I accomplished what I wanted. But all of these little failures helped me produce a methodical approach to the newborn session which has not only helped me, but has helped so many others! 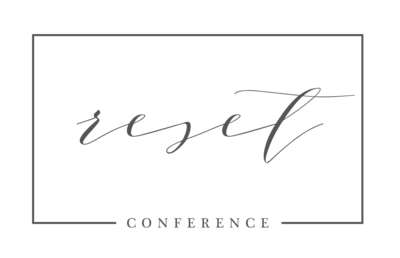 Do you feel like attending workshops/conferences are valuable? I can say that my attendees have said that above anything else, attending my workshops has helped their business both in the images they are able to produce and the income they can subsequently generate from their improved skill. Favorite Software (presets, actions, templates, etc?) I bulk edit in the Adobe Camera Raw and make final hand edits in Photoshop with a few actions that I have created. I use them on all of my studio and outdoor work. 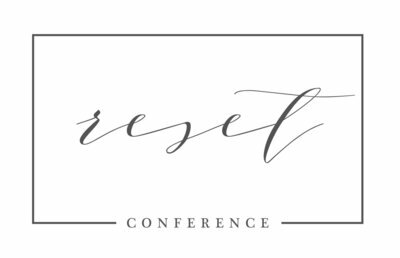 Summary of what you hope to share with attendees of the reset conference. Newborn posing can be extremely challenging and my hope is to share with attendees my systematic approach to the newborn session. We will look at the feeding and sleeping schedule, instructions for parents, and ways to maximize the deep sleep of a newborn so that you can produce quality galleries that your clients will absolutely love. Additionally, I will be discussing tips to running a successful newborn business, whether you are a new or seasoned photographer!